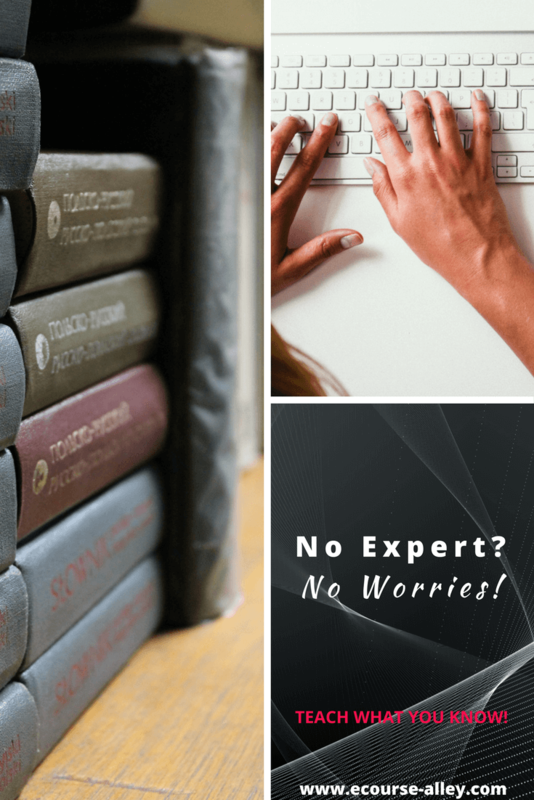 Home » E-Course Creation » So You Think You Can’t Teach (An Online Course)? 7 Tips That Will Change Your Mind! What did you say? 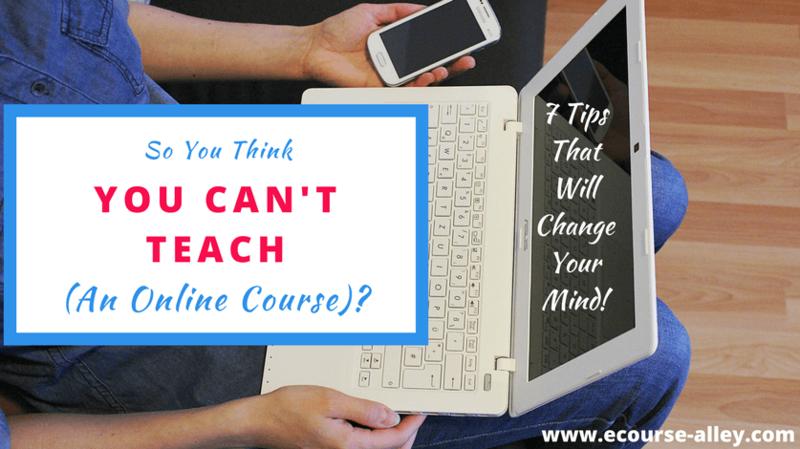 You think you can't teach an online course? Why? Do you think you don’t have enough knowledge to teach people? Well, today I’m going to give you 7 tips that will change your mind! I hope they will also inspire and help you realize why you have more to offer than you know, to produce a highly effective online course. Maybe you haven’t discovered it inside you, but everyone has a hobby or passion for something that they can offer the world! So, refrain from thinking that you can't teach someone. Hone in on what makes you “light up inside” and if you are serious about starting an e-course business, look to these things that make you happy. It could be anything really. Then, after you have figured it out, this is what you need to teach your soon-to-be followers. I know I have thought about this before myself. Just as you may be thinking it right now, but you really don’t have to be an expert to provide quality training. Even if you are only 2 steps ahead of most people in your niche, you are still 2 steps ahead! Suppose you know how to knit hats, but at this point in time, that is all you have mastered. Assume also that you are part of a knitting Facebook Group with 100 people in it (for the sake of argument). It so happens that 20 of these people indicated that they would love to know how to knit a hat, after you sent out a post asking who would be interested in learning this skill. So, that would mean that 20% of the people in the group know less than you and WANT to learn from you! So, this means you can make a difference and transform someone from a “non-hat-knitter” into a “hat-knitter” by offering your expertise in the form of an online course. Let’s say you then get to work, now that you have established some interest. You create a step-by-step online course on how to knit a hat and sell it for $50. If all 20 people buy your online course, then you can expect to make $1000 from this course. You will also build a reputation and gain confidence that you CAN help people and provide value even if you aren’t an expert in EVERYTHING about knitting! I hope this analogy helps you see that the word “expert” is all relative. The people who know how to knit hats are “experts” for the non-hat-knitters and the scarf- and sweater-knitters are “experts” to the hat-knitters. So, similar to not having to be an expert in order to create an online course, make sure to teach what you know. But, what if you believe you don’t know enough to teach? Well, like I said in the previous section, even if you are only at the beginning stages in something, you still know more than someone who is just starting out in your niche! So, teach what you know and you will be surprised at how it not only helps those who are “newbies” but it helps you get even better, helps you grow more and helps you become more secure with yourself and your abilities to teach an online course. My advice to you is to start with something smaller such as teaching a mini-course first to get your feet wet. What is a mini-course you say? Well, it is basically just a smaller online course that could also be delivered via email, which we would then call an email mini-course. You would not go into as much detail in something like a mini-course. But, you could still teach either an overview of your topic or go into depth on just one part of the whole big picture. Later you will teach the other aspects of your topic when you start producing other full-fledged online courses. You will never know until you start. Things may seem daunting at first but it does get better, trust me! You will never be completely ready, so just go for it! Nothing is ever a waste of time if it is something that motivates and inspires you to get up in the morning. So, even if the first time you try creating an online course you aren’t as successful as you wanted to be, keep trying. Starting something, like creating an online course, is further ahead than most people are who are still stuck in their day jobs. 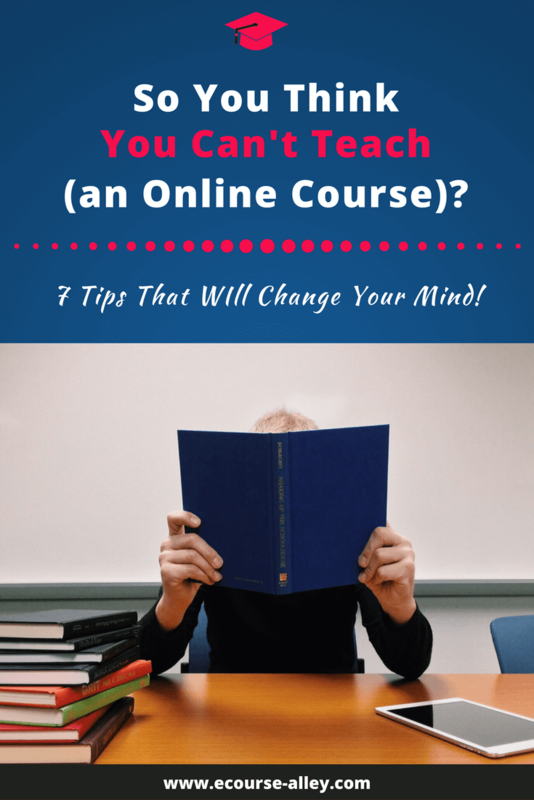 Read and learn as much as you can about online course creation. Take online courses to help you organize content, record video lectures, record audio, create a website, etc. Make sure you have at least some knowledge of how you will attack this task of creating your first online course. Remember, you don’t have to be an expert! You just need enough knowledge to start producing your lessons. You will learn things as you go along. If you want some help on planning and preparing to produce your first online course, I would suggest taking a look at my blog post The Ultimate Planning and Preparation Guide for Your Next E-Course. Also, if you want some free resources to get you started, check out The ECA FREE Resource Library. I also have an ever-updating blog post on the content of this library so you can get a short synopsis of what it contains. So, check out What’s Inside Our FREE Resource Library? to learn more about that. And, finally, one more resource you may want to sign-up for if you are really keen on doing it the right way from the start, is my online course on storyboarding or creating a “blueprint” to organize your content. This course will help you avoid re-working your course once it is complete, if you realize you have to change something! It is entitled Storyboard Your Way to E-Course Success and you can sign-up below. The first time you try something new is always the hardest. But just know that it will get easier, so if you are really interested in creating online courses about your hobby or passion then don’t give up! Even if it takes a long time the first time you produce an online course, you do know enough and you can do this! So that’s my 7 pieces of advice to combat the belief that you can’t teach because of the doubts you may have in your mind. I hope this post has inspired you at least a little to go for it and teach what you know, even if you are only starting out. Speaking of which, if you need a little more help to get started, I've created a template called the Online Course Topic Picker to help you get to know what you can teach and find out what you are an “expert” in. I’ve added it to our FREE Resource Library, so sign up below and you will also get all my other resources as well. If you're not sure if it will be helpful, check out the summary in What’s Inside Our FREE Resource Library? All that being said, if those doubts keep creeping up, just think about the hat knitting example and remember, you don’t have to know how to knit blankets in order to teach someone how to knit hats!